On the warm morning of July 21, 1918, during the last year of the First World War, a German submarine surfaced three miles off the coast of Cape Cod and attacked an unarmed towboat and her four barges. A handful of the shells fired by the U-boat’s two deck guns struck Nauset Beach, giving the modest town of Orleans the distinction of being the first and only spot in the United States to receive fire from the enemy during the entire World War. 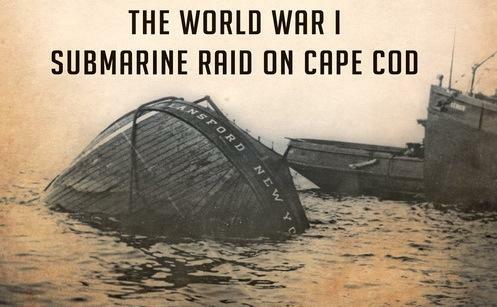 Author Jake Klim discusses his new book Attack on Orleans- the WWI Submarine Raid on Cape Cod with Brian Morris on The Point.